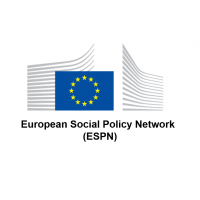 ISSP researchers become members of European Social Policy Network (ESPN), a network of national independent experts managed by LISER that provide the European Commission with independent information, analysis and expertise on social policies. ISSP representative, Jadranka Kaludjerovic, participated at the ESPN meeting held in Brussels on 4th and 5th of October. ISSP © 2013 - 2019. Developed by Exploring.